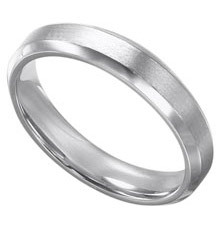 This is a very stylish palladium men's wedding band. The 4mm band has beveled edges that decrease the band's bulk for a contemporary look. The satin finish makes this band very elegant.